When editing a line of code (with nothing selected), Edit -> Unindent Selection is enabled and allows you to happily unindent the line. 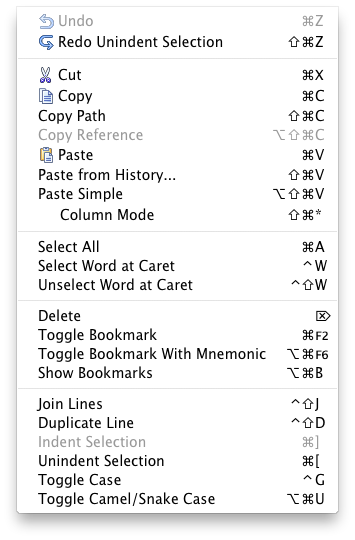 Edit -> Indent Selection, on the other hand, is disabled until you actually have a selection. This is rather annoying. Bug?